Quiet Spanish village: San Pedro de Alcantara offers some of the calmest, most relaxing holidays to Costa del Sol. The centre San Pedro de Alcantara is made up of tranquil courtyards, whitewashed houses and typically Iberian decorative churches. Close to stylish towns: San Pedro de Alcantara holidays are very close to the two most sophisticated resorts of the region, as it’s just a little to the west of holidays in Marbella and Puerto Banus. That means you can enjoy the all the style and glamour of these exclusive resorts whilst taking advantage of the lower cost of staying just outside them. Golfing holidays: The region around San Pedro de Alcantara has a huge selection of golf courses, making it one of the best places in the world for golfing holidays. In fact there are twelve golf clubs within a 5 mile radius of the resort! Las Bovedos: Only a small historical site, but an interesting one to visit on your holidays nevertheless. Little is known about these Roman Baths, named ‘Las Bovedos’ (which translates as ‘The Domes’), but it’s said that they’re all that remains from the settlement that was in San Pedro de Alcantara back in 365AD. A severe earthquake destroyed all other evidence of this fully functioning Roman town from ancient times. Iglesia de San Pedro: A church quite unlike any other you’ll find on holidays to Costa del Sol. It has decorative spires, elegant statues and walls of pale yellow. The interior is just as beautiful, especially its intensely intricate golden altar with a majestic design that glistens against the soft flicker of candles. Golfing holidays: San Pedro de Alcantara may offer the best holidays in Spain for golf. Yes, we know that’s a bold claim, but when you consider there are twelve golf clubs all within reaching distance from the resort, you’ll know exactly what we mean. Some of the golf courses are even like mini-resorts themselves, offering all-inclusive holidays that feature unlimited rounds of golf in their packages. The nearest club to San Pedro de Alcantara is also the best – Club Guadalmina. It has two excellent 18-hole courses with a 9-hole course added for good measure. Established in 1959, the club is one of the oldest of all golf courses in the Costa del Sol, and it has an impressive history of hosting PGA tournaments and Spanish championships. Los Naranjos Golf Club is also nearby. It boasts pristine greens and was voted ‘Course of the Year’ for the Costa del Sol in 2005 and 2008. With other fantastic courses such as Aloha, Las Brisas, La Quinta, Atalaya, El Paraiso, Flamingos, Monte Mayor and Los Arqueros all close by, it’s no wonder that this area is known as ‘Golf Valley’. Many of the courses also offer extended week-long passes for lower prices, and these may seem a better option if you’re after cheap deals on golfing holidays to San Pedro de Alcantara. 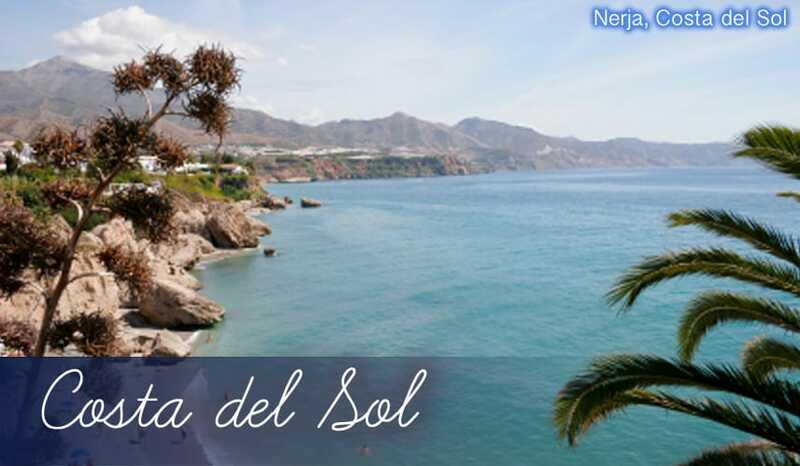 Guadalmina Beach: On the western end of San Pedro de Alcantara, close to Marbella you’ll find this long and lovely dusky gold beach. It largely benefits from being near the ‘Golden Mile’ of Marbella, which is an exclusive development area consisting of modern apartments and all-inclusive hotels. You may see some of the glamorous jet-set spending their holidays on the beach, deep mahogany tans and all, and out to sea their presence continues on the glossy white yachts that sail by. Pesquera de San Pedro: A smaller, more relaxed beach which is the most convenient if you’re on holidays in San Pedro de Alcantara. The clean sands and pleasingly smooth, wide promenade have won this beach a blue flag for yet another year. Jet skiing seems to be the water sport of choice here, as the waves out to sea make the ride all that more bumpy and exciting! Linda Vista Beach: This 1km long dusky golden beach is incredibly popular as it’s extremely well-facilitated. It’s lined with a decent number of beach bars and restaurants, while the water sports offered here are among the best in San Pedro de Alcantara. You can take your pick from windsurfing, jet skiing, parasailing and more if you spend your beach holidays here. Casa Fernando: The relaxed vibe in this traditional Spanish restaurant makes it a great place to unwind during holidays spent on the beaches in San Pedro de Alcantara. Hot chilli prawns are a real highlight, as are the crisp, freshly fried squid and octopus. Brunnings: This restaurant fuses a variety of international cuisines, largely due to the chef being German but cooking with Spanish ingredients locally sourced from San Pedro de Alcantara. Potato rosti is often served as a complement to the dishes, which include tasty combinations such as juicy king prawns wrapped in crisp buttery pastry or the melt in the mouth beef served with rich pepper sauce. Caruso: A smart Italian restaurant serving all the classic dishes you know and love. The dishes are made fresh daily with quality ingredients – they even go to the trouble of making their own pasta to ensure it tastes perfect! A great choice even if you’re enjoying all-inclusive holidays in the golfing region of San Pedro de Alcantara. Classy bars: Holidays to San Pedro de Alcantara are much more relaxed than holidays to Marbella, and all the better for it! The nightlife here is still a fairly sophisticated affair, but it is far less lively than its more illustrious neighbours. The Borra Borra beach bar is a perfect example – it has plush seats and tables protected by silky flowing drapes making it a stylish choice to enjoy evening drinks on the beach. Other smart establishments in San Pedro include Bar Bolera, Bar Lennon and Bomcambo. Of course, you could always choose to take the short walk to Puerto Banus, and enjoy all the glitz and glamour of this exclusive marina, or head just a little further east to reach the playground of the rich itself - Marbella. Weekly market: San Pedro de Alcantara holidays have several shops with everything you’d usually expect in tourist resorts, such as supermarkets, souvenirs, beachwear. However, the real interest lies in the weekly market in San Pedro de Alcantara held every Thursday. Here you’ll find an interesting assortment of bric-a-brac, from bargain clothes to cheap leather goods and local crafts. And don’t forget to look out for delicacies from the region here too. If you fancy doing some more upmarket (but more expensive) shopping, you could always head to the shops in Marbella instead. The urban streets in Marbella are lined with the sleek shops of Gucci, Versace and lots more brands that attract those with deep pockets to empty!